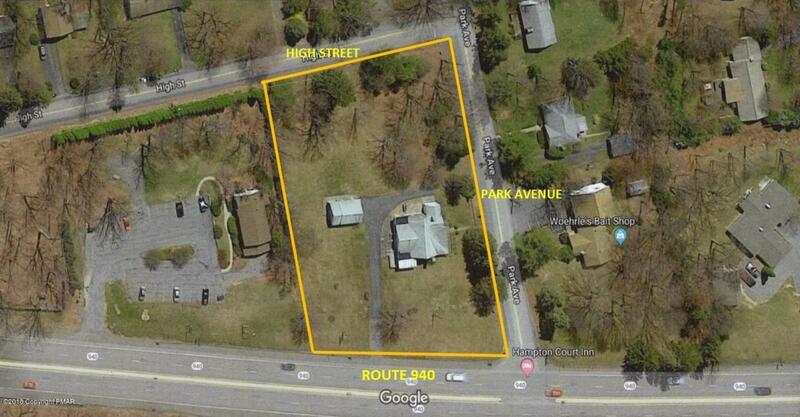 1.15 Acre Zoned C2 - Mt Pocono Borough re-development site. Existing 2,000 sf structure. Corner site at Park Ave and eastbound side of Route 940. In between Walmart and the 5 corners at Shpprite. Site supports a minimum of 4,500 SF of retail/office space. Central sewer available. Available as a NNN land lease.